Paleo, Dukan, Atkins, and South Beach are some examples of carbohydrate diets frequently living to reduce weight. However, please note whether this diet is safe or not. Carbohydrate Diet is a diet that reduces the intake of carbohydrates or avoids foods containing carbohydrates is high, in order to lose weight. 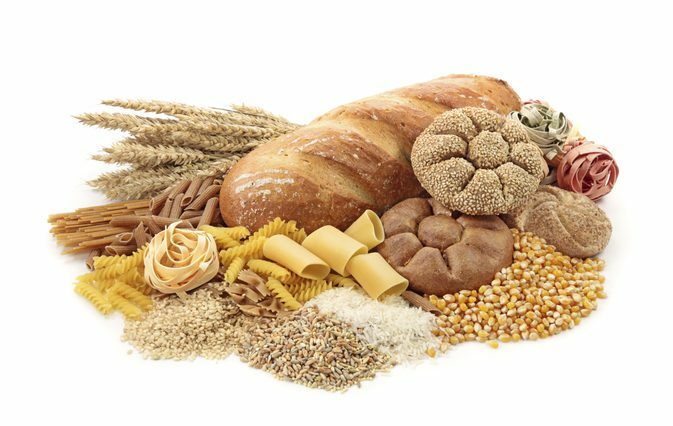 Examples of containing carbohydrate food are pasta, bread, rice, cereals, fruit, and vegetables also contain carbohydrates. Diet carbs usually advocate the consumption of foods that are high in protein and fat. Simple carbohydrates (such as those found in sugars, white bread, pasta, crackers, and cereals) contains a high glycemic index. That is, these foods cause the blood sugar increase suddenly and sharply. If not used, the blood sugar is stored as fat. Under normal conditions, the body burns carbs for fuel or energy. When carbohydrate intake is reduced drastically by doing a diet of carbohydrates, the body's metabolism will enter the process to ketosis, i.e. burn fat to get a source of energy. When the fat is burned and became the main source of energy, the weight would be decreased. A low-carb diet is believed to help prevent or ameliorate serious health conditions, such as metabolic syndrome, diabetes, high blood pressure (hypertension), and cardiovascular disease. In addition, a diet low in carbohydrates can increase good cholesterol or HDL, thus considered extremely beneficial for heart health. However, there has not been enough evidence to support such claims, so that still required further research. Quite difficult to eliminate carbs completely from daily food intake. Carbohydrates are the main source of the body's energy. If the intake of carbohydrates minus suddenly and dramatically, various side effects such as fatigue, headaches, bad breath, fatigue, constipation, or diarrhea, may be experienced. Research shows if low-carb diets supposedly more potent in lowering the weight in the first year than the low-fat diet. But after a year, weight loss between the two types of diets is similar. Carbohydrate diet supposedly safe made in the short term, but it is unclear whether there is long-term health risk posed. This is because most of the studies lasted less than one year. Some health experts believe that replacing the calories from carbs with your calorie intake from fat and animal protein in large quantities, it can increase the risk of heart disease or cancer. Get your calorie intake of high amounts of protein is also not recommended for people with kidney disease. Nutrition experts still doubt the usefulness of diet low carb diet, especially if committed advocate for limiting healthy food, such as whole grains, as well as vegetables and fruits. Rather than limiting the intake of carbohydrates, you are encouraged to reduce sugary foods, such as candy, chocolate, biscuits, cakes and soft drinks with added sugar. Because if it is often consumed, food and drinks are high in calories and sugar can cause weight gain and increase the risk of tooth decay. Enough carbohydrate intake is about 0 – 30 grams of the total portion of the meal. Add your intake of protein and good fats that do not contain cholesterol, such as olive oil and avocado, to meet energy needs. It is recommended to eat more healthy carbs source, like whole-grains, potatoes, vegetables, fruits, nuts, and low-fat dairy products with nutrients that are beneficial to the body. The fiber in the diet can help keep the digestive tract stay healthy and keep you full longer. Keep in mind, the need for calories and energy each person differently based on gender, age, daily activities, and health conditions. If you are considering doing a carbohydrate diet, consult in advance with the nutritional doctors to see if the diet is suitable for you or not.